I was quite proud of myself as far as the logistics and organisation of tools and other components were concerned. The work I was undertaking was away form home and as a result away from the comfort and safety of my reasonably extensive tool collection. 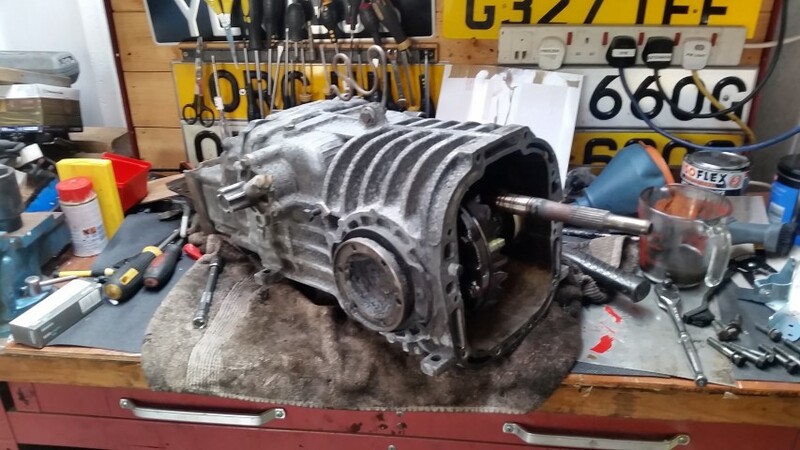 I had thought long and hard about the process I needed to go through to remove the gearbox a week or so before, and I had done the same for the installation of the new gearbox to make sure I was suitably equipped for the task. 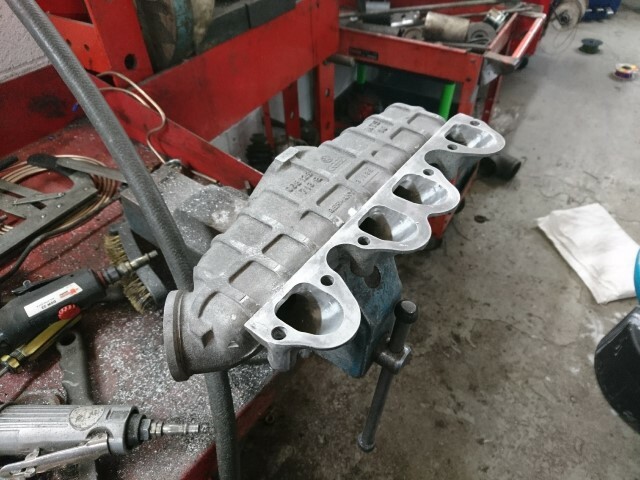 The barn I was working in wasn’t a million miles away from home, but best part of an hour round trip would have been remarkably frustrating if I found myself lacking a socket or spanner. 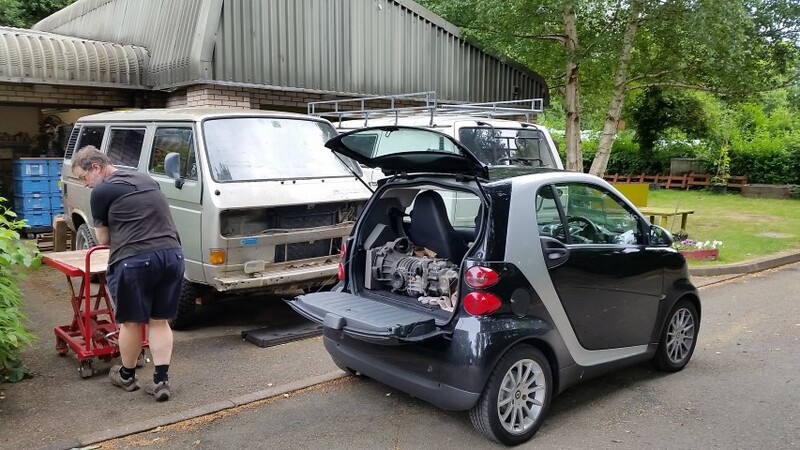 I arrived at the barn in my smart car with the gearbox in the boot just after 9am on the Thursday morning. The day was pleasant and had a nice summery feel to it which put me in a good / positive frame of mind. 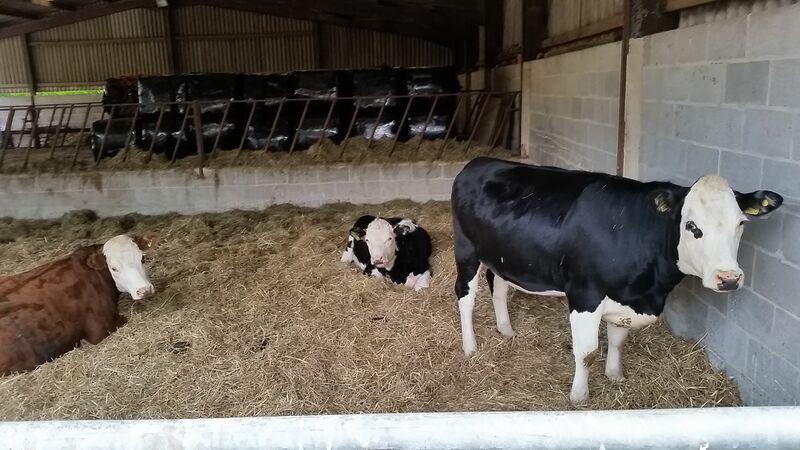 The appearance of some very inquisitive cows in the barn opposite put a smile on my face before work commenced. 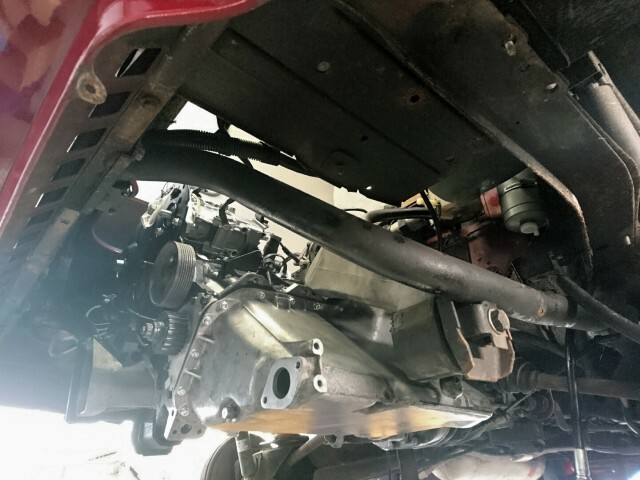 I was quietly confident that I should be able to fit the gearbox without assistance by positioning it on two trolley jacks and elevating them once slid into position. In my head it was that simple, but the reality was proving quite the opposite. 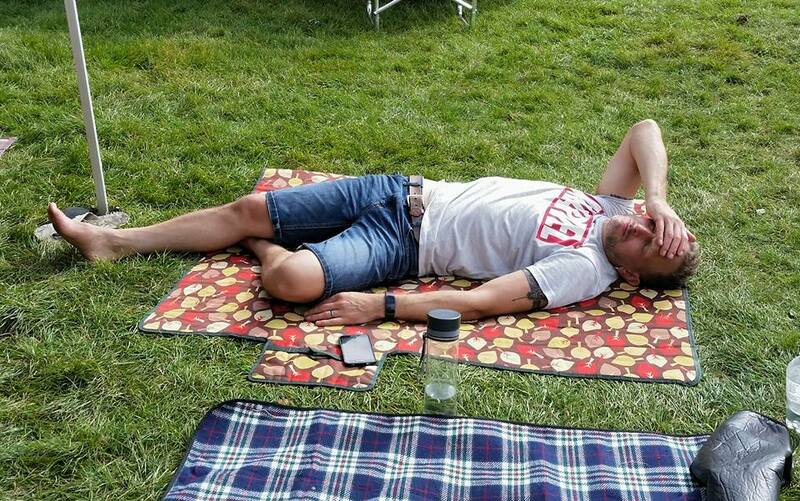 A friend had offered to help in the afternoon if I was struggling, but I hoped not to have to bother him. However, after two hours on my back, my shoulder blades becoming increasingly sore, and my eyes aggravated from dirt particles, I had to concede and take him up on his offer. During my two+ hour battle in trying to get the box into position, I had noticed that the steel gearbox mount at the front of the box looked like it was never going to match up correctly with the bodywork. This got me thinking that maybe, just maybe the petrol and diesel mounts were different length. I couldn’t verify this during my struggle, but as lunchtime approached, and I had to scuttle back home to collect my friend, I thought it wouldn’t do any harm to collect the other mount and match it against the one on the box I was trying to fit. An hour later, I was back at the barn with Simon. A quick shifty under the van confirmed my suspicion was correct. The mounts were subtly different. The box needed dropping, wheeling out and the mount swapped over. After best part of four hours my positive mood had started to ebb, but my friend was as positive about the install as I had been at the start of the day. This proved infectious as we both set to work. 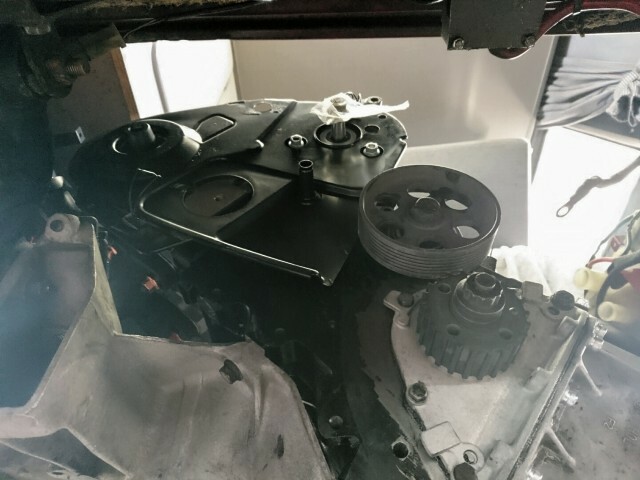 Within minutes the gearbox was in position and nuts and bolts were being tightened up. 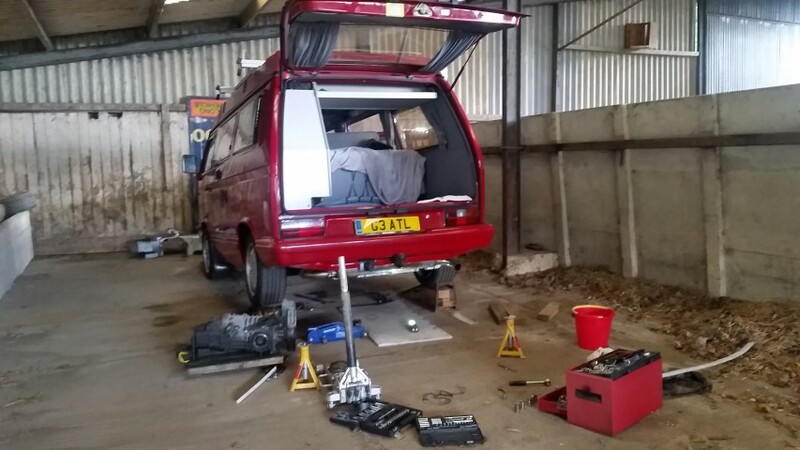 Ancillaries on, drive shafts connected and the van fired up and rolled off the ramps by 4.30pm. I was pleased that it had all come together so quickly, but I still needed to drive the van to find out if it was good or not. My three week September holiday hinged on this box being a worker. I loaded the van with all tools, ramps, trolley jacks etc that had been used throughout the day, and Simon jumped in the passenger seat. We set off from the barn towards home leaving my smart car behind. I was very mindful of the feel of the gear lever and the selection of the gears as we moved from quiet country road, to the increasingly busier city roads of Derby. By the time we got home I was confident that if there were going to have been any issues, they would have been picked up during the half hour drive home. 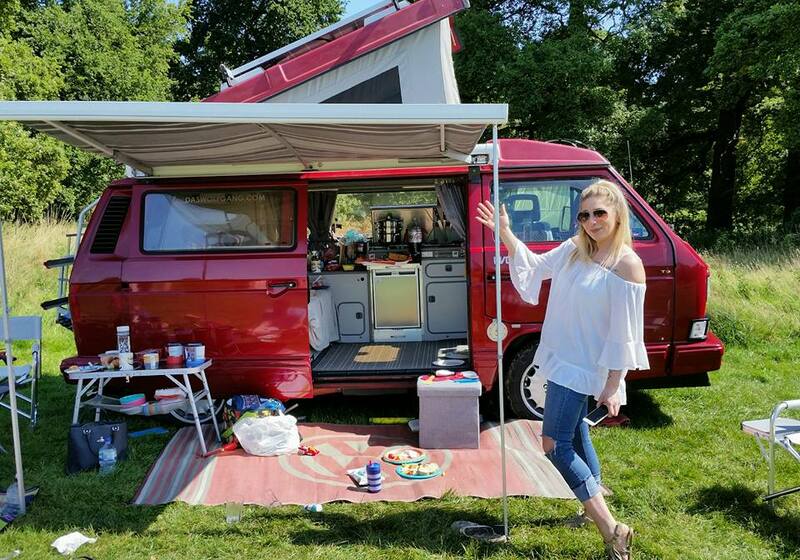 Suffice to say I was buzzing, and for the first time in months I could start looking forward to a holiday in the campervan. I knew that both Kev and Simon were partial to a splash of whisky, so that evening I dropped by with a bottle for each. Kev for the loan of his gearbox, and Simon for his much needed assistance. Anyways, we decided to have a family get together at our local park, Calke Abbey to celebrate Wolfgang’s resurrection on the Sunday. Weather was great and all enjoyed. The Atlantic was one of the few vans that came with big mirrors as standard. These were always colour coded from factory in one of three available colours. White, calypso green or red. My van on the other hand came with mat black mirrors. 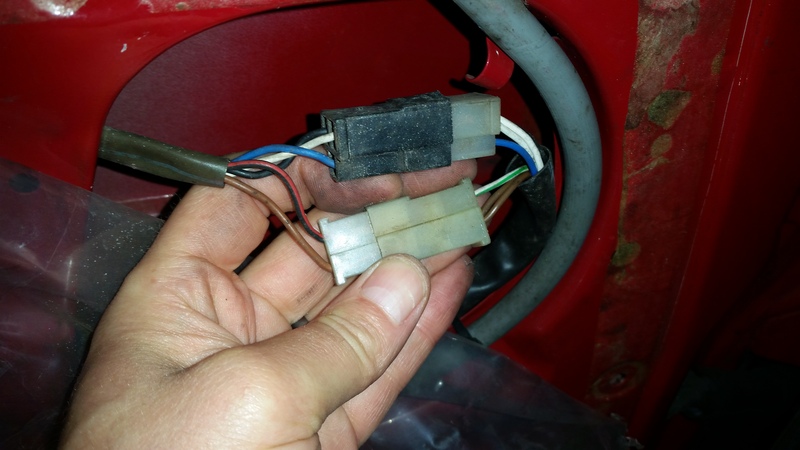 Then electrical ‘block’ connector needs disconnecting and stripping…. 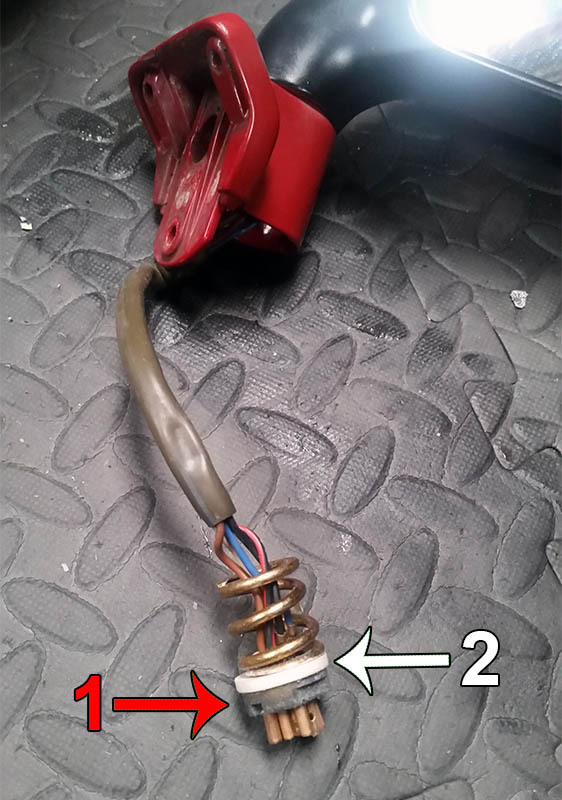 after which the wires can then be passed through the small cable aperture to mirror. Its not massively difficult, but a little more involved than one would first imagine. 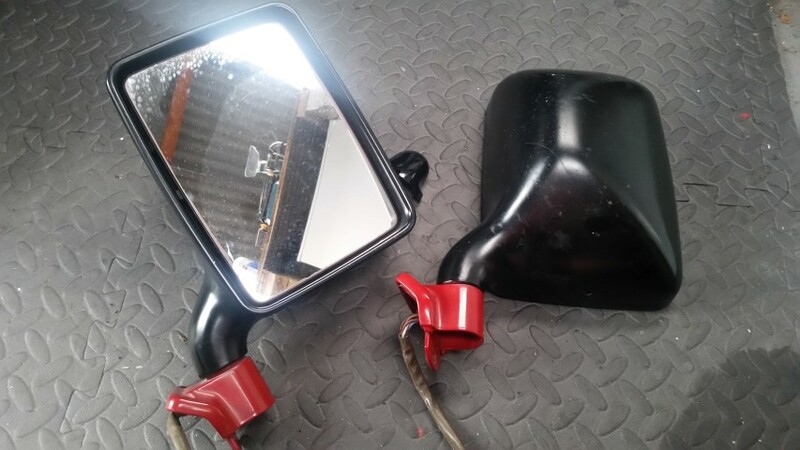 Then the mirrors need stripping into their basic components before paint. 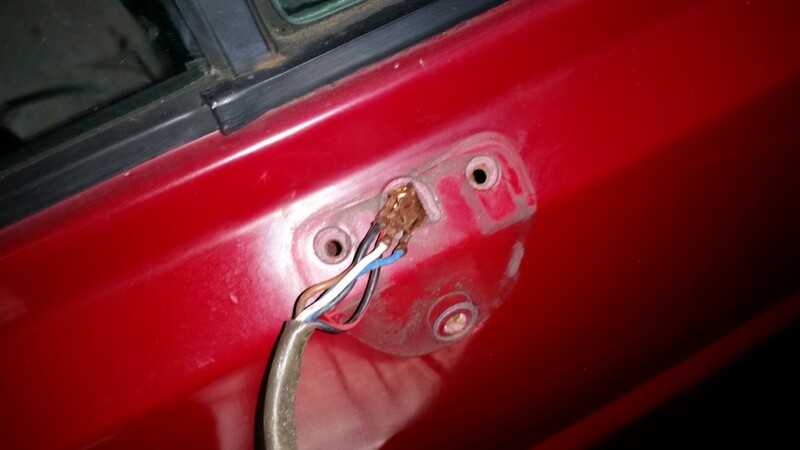 Separating the bracket from the mirror was done using a pair of long nosed pliers . There is large slotted nut (1 in below image) that winds up against a perspex bush (2 in below image) and spring. Again, not the easiest thing to do especially if the nut hasn’t been removed for a number of years. The mirror glass also needs to be removed. If you look closely in between the glass and the outer casing you can just see the two tabs sticking out on either side. 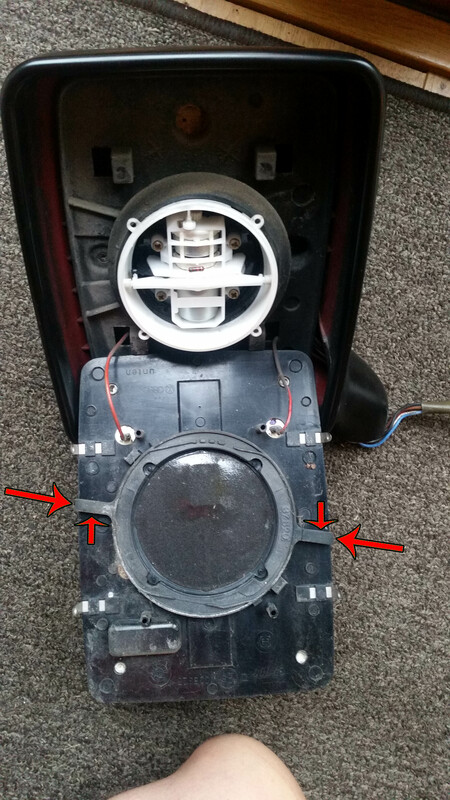 Not particularly clear under instruction exactly how these hold the mirror in, but with a couple of knives carefully slotted down the side, and an up movement on one side, and down on the other, the mirror pulls free of the servo unit. From the picture above I was slightly surprised to see the original colour inside the casing. 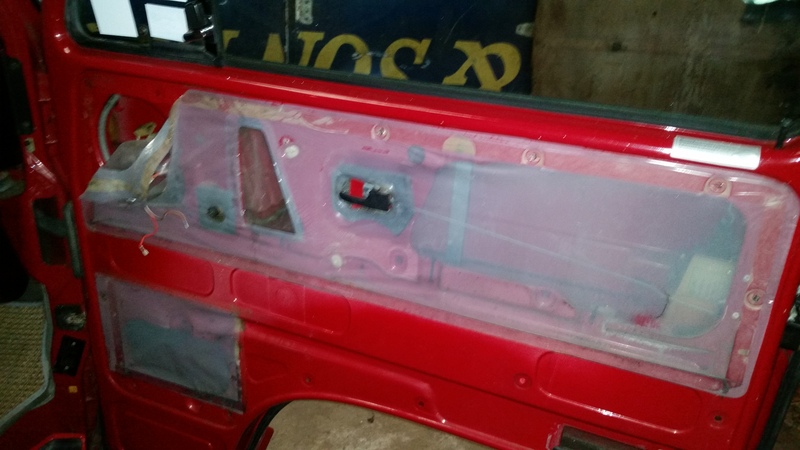 I did strip one of the mirrors down even further in the hope that I could just send the plastics and bracket away for spraying, but realized the connectors on the end of the loom wouldn’t go through the hole in the bottom of the mirror. This meant they must have been crimped on after they were thread out of the aperture during construction at the factory. 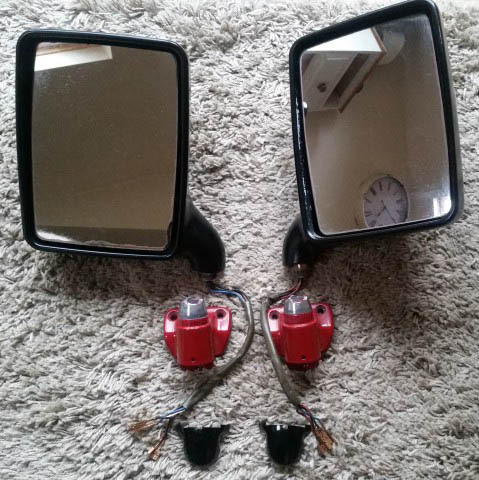 I wasn’t willing to cut them off and re connect after paint, so I left the whole servo assembly in the mirror. You can see more clearly the original paint in the photo below. I can only assume that the original external paint must have gotten scratched, chipped or dis-couloured to the point where a previous owner decided to take matters into his own hands with a DIY spray-job using a can of mat black paint. So this was just about as far as I could take it. I was considering getting a few rattle cans made up and having a go at painting them myself. However, these wouldn’t have been cheap, and these on top of the extra wet-n-dry emery paper and primer, would have meant that I probably wouldn’t be saving a great deal against the cost of a professional paint shop. 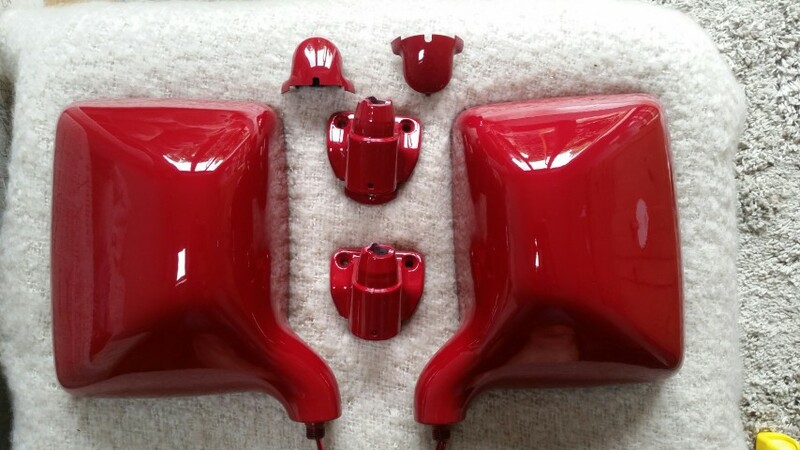 So the paint was purchased and both mirrors and paint were taken to a body shop I had used previously to have my Fiamma Box painted. 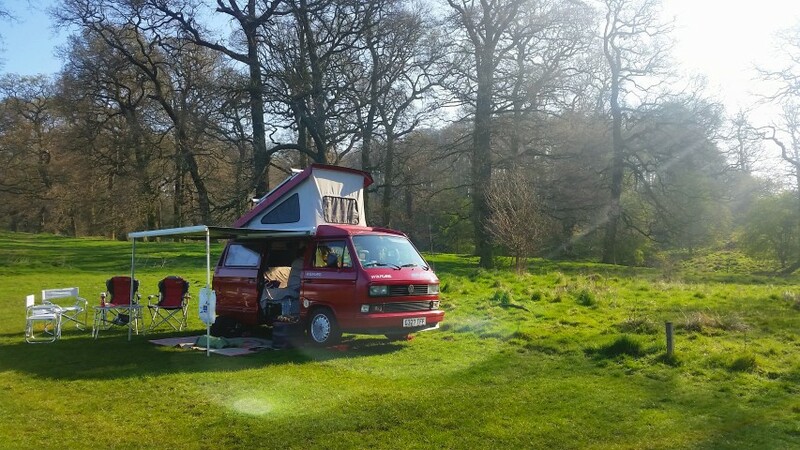 Sunday 9th April was a gorgeous sunny day that lent itself perfectly to using the van as a base for a family outing at Calke Abbey. 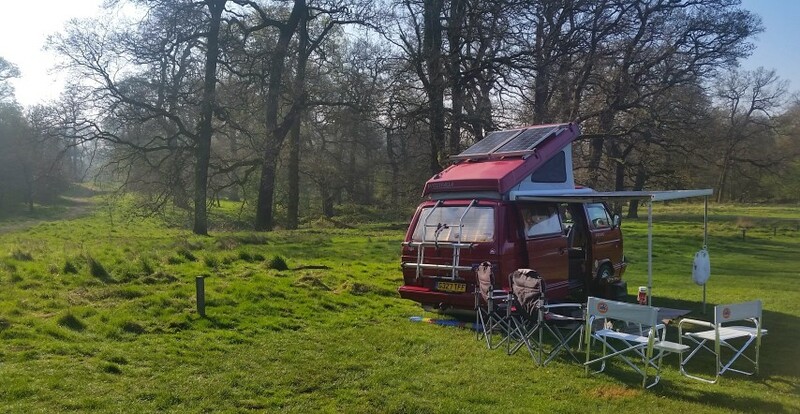 Its quite unique in the location we live in as much as the owners (National Trust) allow you to park on the grass fields surrounded by trees and woodlands which forms the long driveway up to the historic house itself. All in all it turned out to be a very busy day, but in the back of my mind i knew that this would be the last trip in the van with the trusty 1.6TD JX engine that had provided us with so many great journeys since ownership. Getting really sentimental, i guess you could say that we were not the only people to benefit from the trusty power plant, so it makes sense to show its penultimate day in a great light. So we got back from Calke, and proceeded to rid the van of anything that wasn’t appropriate for the journey the following day. No camping equipment required, but lots of new and refurbished parts in readiness for the trip to the garage in sunny Yorkshire. Monday we were greeted with another fine day weather-wise, but this was all predicted by the met office so no great surprises, but welcome all the same. We left Derby for Honley just after rush hour and arrived at our destination at 10.30am. The visit to Brickwerks has become an annual pilgrimage. This was our third time and with each visit address increasingly more expensive issues to get Wolfgang back to his former glory. 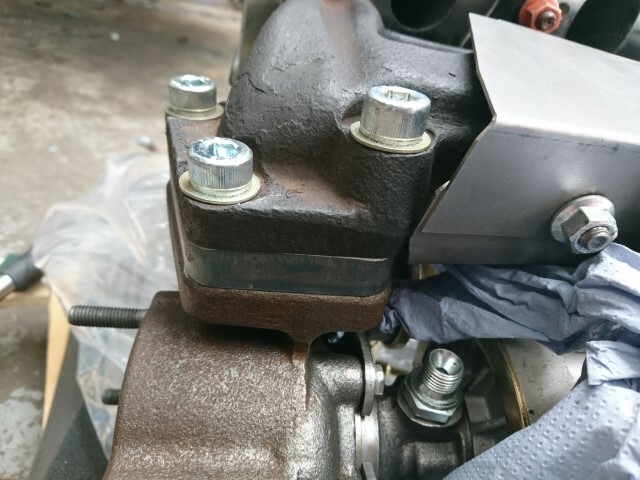 After a brief conversation with Simon and Micheal, Mandy and I tootled off thinking I was just lacking a fuel pump bracket. This didn’t concern me massively. However, by the time we had walked the short distance to the train station, and got on the train to depart home, emails were telling me the list of missing parts were increasing exponentially. My lack of research, and my over simplification of what could and couldn’t be used from the old JX unit left me in a bit of a sticky situation. 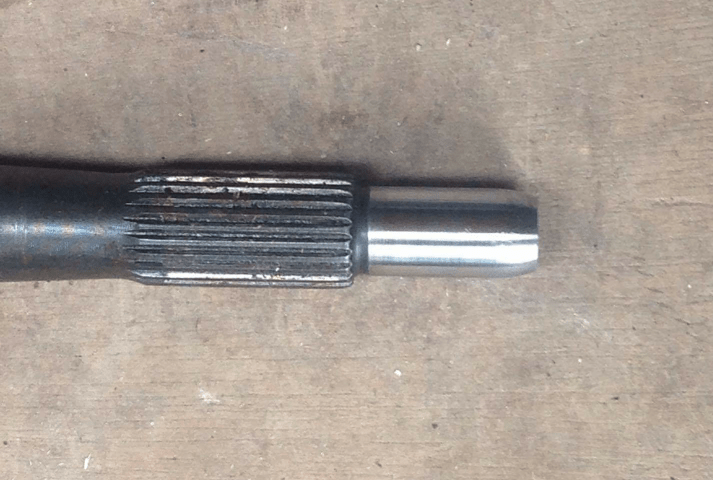 Intermediate shaft pulley bolt and woodruff key. 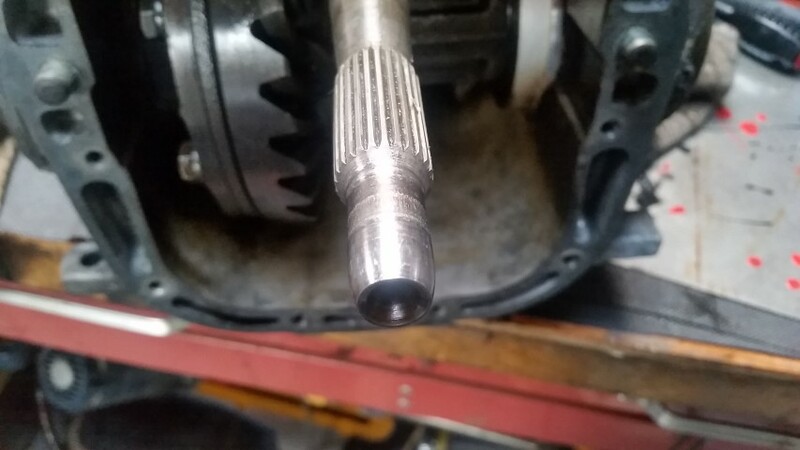 Oil seal housings for both ends of the crank. 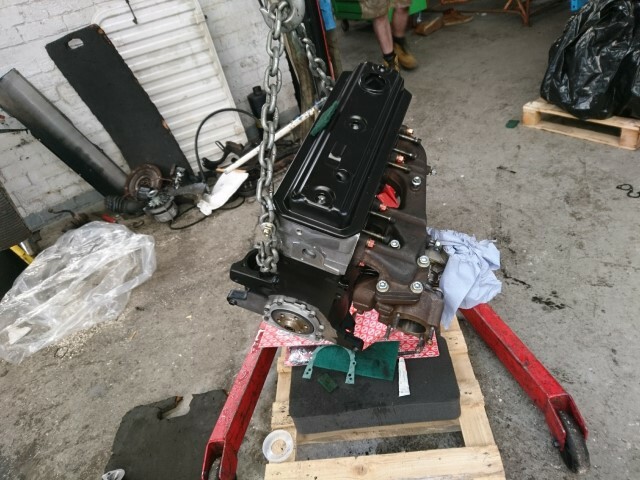 As a recap, I brought a second hand engine from eBay which was similar, but not the same as the engine i needed to put in my van. 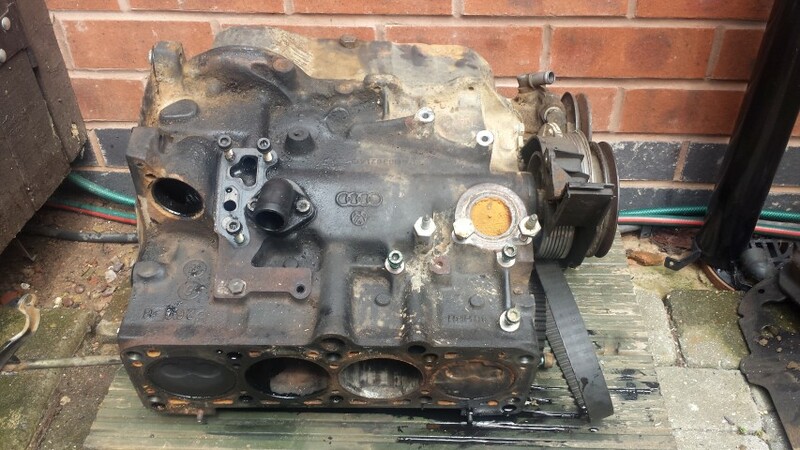 It was from a later model VW van, and slightly bigger in capacity to the one i had in my van (1900cc) This was an acceptable exchange for the 1.9TD AAZ i needed back from the engine shop. I stripped it back the core engine and sent it away to AW Engineering for checking. Feedback was positive for the returned unit, and my new engine (AAZ Code) was returned to me at a later date in a polythene bag. This is where it stayed in its packaging until we arrived at Brickwerks. 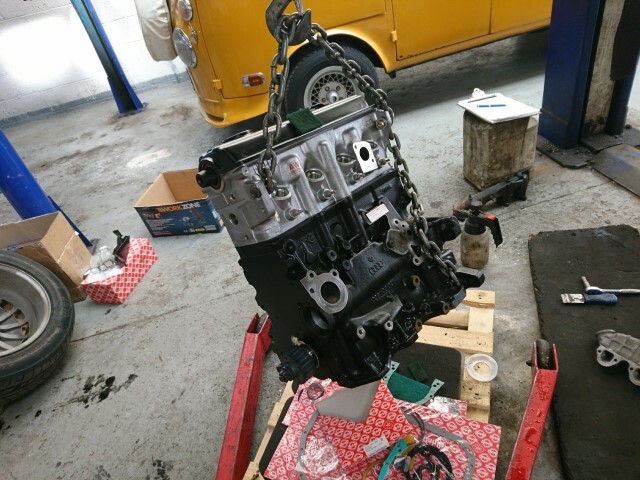 My van only had four days allocated by Brickwerks to get the old engine out, and new in. If things over ran it would put them in a sticky situation for there future workload. Mandy and I were looking forward to a little shopping and a meal in Sheffield on the way home, but my mind was now on trying to get the missing parts to the garage. With such an early spanner in the works the day had become a little stressful. With so many parts required i contacted AW Engineering who provided the engine. 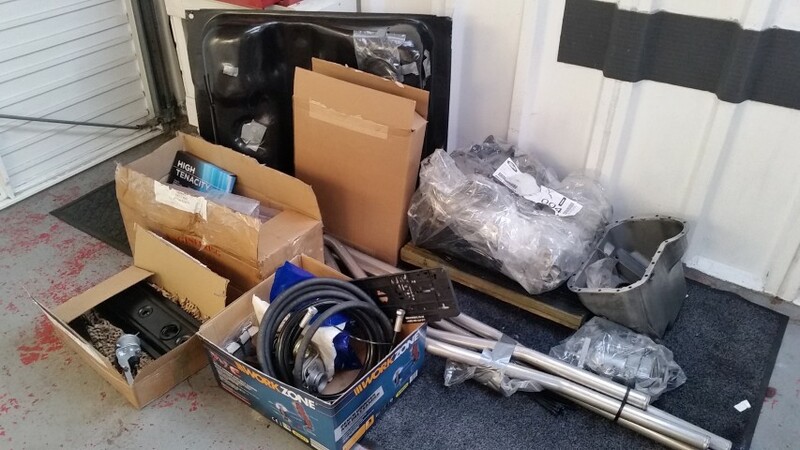 I knew they were big with VW engine re manufacturing, so they were a good place to start in terms of providing the sheer quantity of parts i needed to keep things on track. Long story short, after numerous emails and phone calls, AW had accumulated a ‘kit’ of parts required to complete the install. £300 was the sum required to purchase bits and have them shipped to Brickwerks. The following day images of the progression started to arrive via email. So that’s where we are at the moment. I’m in a happy place because its really looking fantastic. 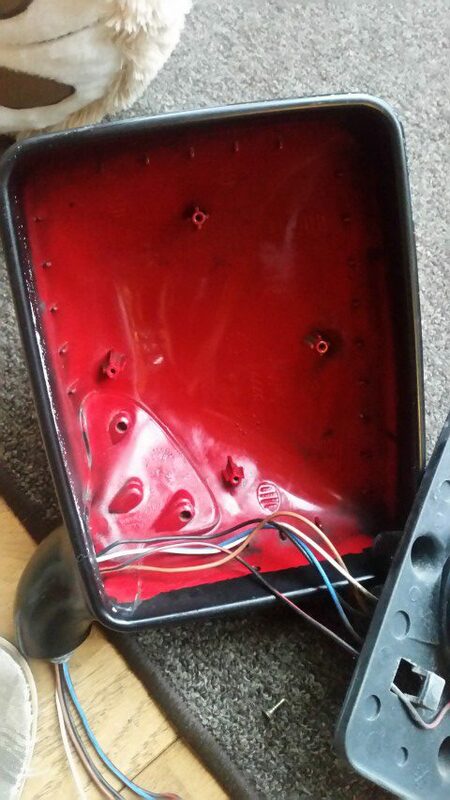 I knew that the fuel tank had some corrosion but wasn’t 100% sure just how bad it was. 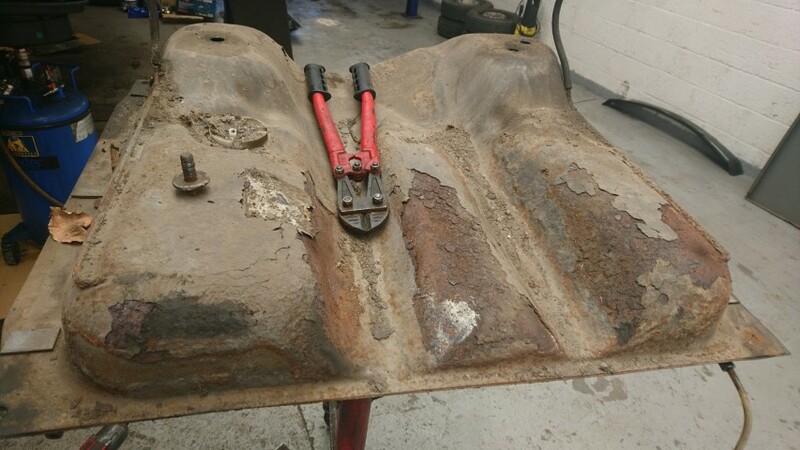 The van was in my local garage last year to have the coolant pipes replaced and the mechanic told me there were large sheets of rust coming from the top of the tank during some preliminary work. Long story short the garage never ended up fitting the pipes, and threw the towel in after he realised everything was going to take him a lot longer than he had anticipated due to the expanding workload. However, I had ordered the new tank based on his analysis, which sat in my garage for a number of month up until now. So the engine upgrade is currently in full swing, which is the perfect time to get this sorted.